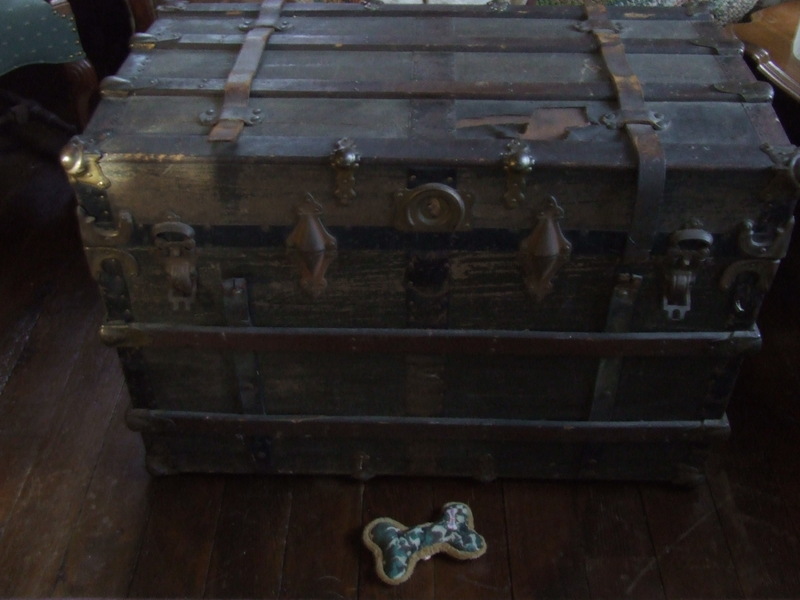 Some time ago I purchased a trunk at a flea market. I decided it was time to re-finish it, I will use it to store some of the many piles of quilt tops and pieces that are waiting for my attention. 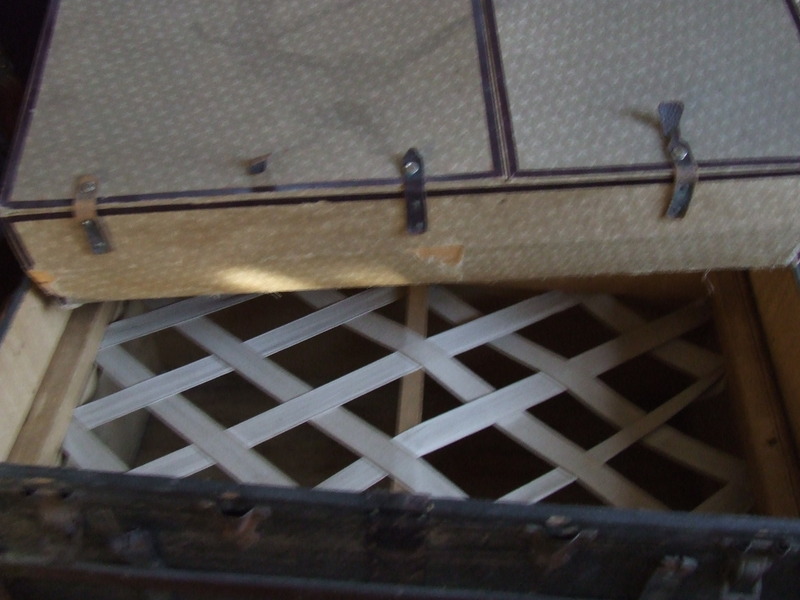 This entry was posted in ETC, Quilts and tagged antique trunk, quilt storage, refinishing. Love it. My bother has my grandma hope chest from early 1900s and I have he wicker sewing chair and sewing basket. How did you wash it? I’ve just found you through FB and so your blog too. Your work is awesome Tim and the restoration of this trunk inspires me to look at older pieces I have acquired over the last few years. Thanks for sharin. Thanks Karen!….love it when old pieces can be put back in use….good luck with your! What an amazing job you did. Was that lattice part of the trunk? I remember reading once that if the inside is musty, place a saucer of vanilla in the trunk and close it up for a few days, Never had reason to try it but guess it can ‘t hurt. Great job! Great job! Loved Teddy’s toy in the first photo. 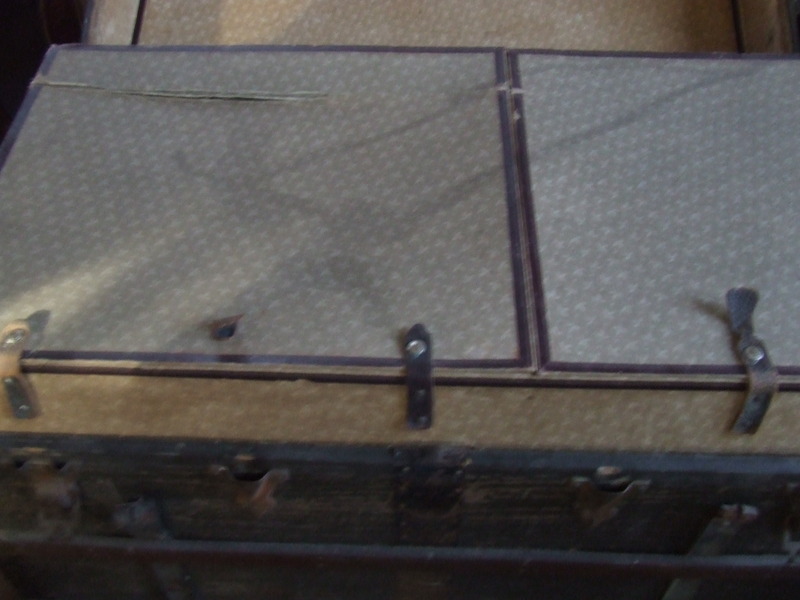 I have two old trunks stuck away in a closet. Yours looks so good that you may have shamed me into dragging them out and cleaning them up! Nice idea to store your quilt tops in them. Excellent, well done, looks terrific. Love that $20 price tag! But you could see that it had quality bones and merited refinishing. 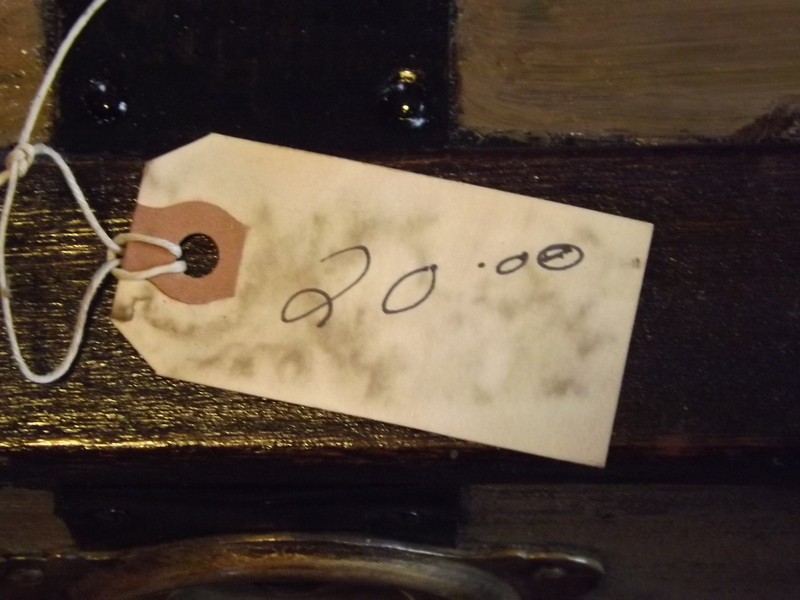 I’m used to seeing truly or quasi antique trunks selling for high, antique prices, many of which wouldn’t stand up to refurbishment. The real ones, like this, go for top dollar even if they’re fresh out of a barn, at least here in the New York City area. Yes, that always amazes me too — the trucks were so heavy, their owners must not have traveled much, traveled with servants or there were people everywhere picking up for them. Yes, this qualifies as a real find. Here in Iowa City, too! It’s come up so well!! Worth all that hard work, Tim! Now I need to fill it up!….shouldnt be hard to do!! Goodness Tim – you are a man of many talents! That looks wonderful – what a great result. What perfect storage for your quilt tops. You have done a great job restoring it!!! Thanks!….and I keep getting more that need to be stored! !